Augusta Pool and Lavinia Gilmore were once again helping Lavinia’s Aunt Evelina. Helen Angier Ames, too, came over from next door, and the young maidens had “a nice time over it.” They did a little sewing for Evelina – that must have pleased her – and helped prepare frosting for Augusta’s wedding cake, which Evelina had kindly undertaken to make, along with all the regular baking she was doing for her family. Augusta was to be married the next day to Evelina’s nephew, Edwin Williams Gilmore. 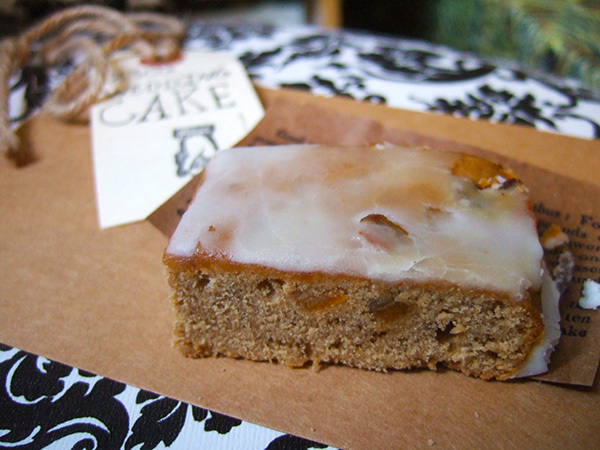 Evalina’s fruit cake would have been tasty with my morning coffee.